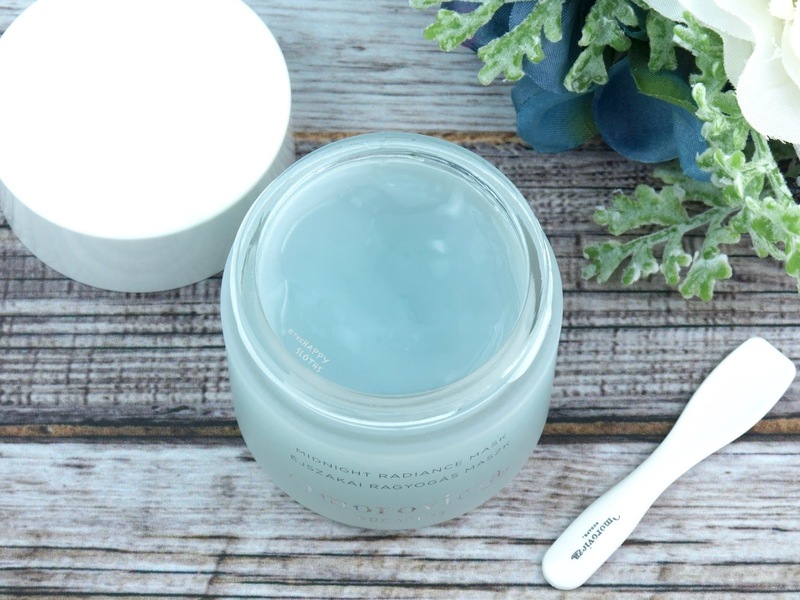 Housed in an elegant frosted glass jar, the Midnight Radiance Mask is a brightening overnight mask designed to gently exfoliate the skin to reduce hyperpigmentation and enhance skin elasticity and hydration. The light, gel-like formulation includes salicylic acid for exfoliation, sand lily extract for spot reduction, red algae and sodium hyaluronate for hydration, and copper gluconate for sebum reduction. 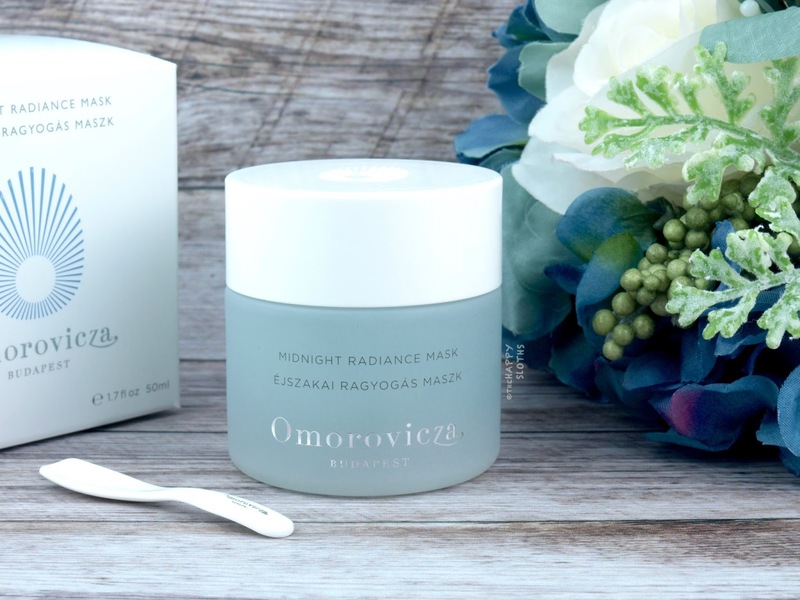 Additionally, the mask harnesses Omorovicza's patented hydro mineral transference delivery system, which helps create a supple, refreshed complexion. The mask is designed to be used at night after cleansing and toning. Because it contains alcohol, the formulation sets pretty quickly. Once it's dried, the skin is left with a thin, almost film-like residue. Although I like that the mask is not too heavy on the silicones (unlike most overnight masks), I don't like that it doesn't feel super hydrating and nourishing on the skin. With that said, the mask does do what it claims. When I wake up and wash off the mask in the morning, my skin feels softened and renewed. Additionally, because it sets completely on the skin, it's great for those that don't like going to bed with a slick and greasy face. All in all, this is a very unique overnight mask! For those that want something lightweight and exfoliating, definitely give this a go! I am currently giving away 10 free deluxe samples (15ml, valued at ~$47 CAD) of the Midnight Radiance Mask over on my Instagram. So if you want to give this mask a try, enter now! 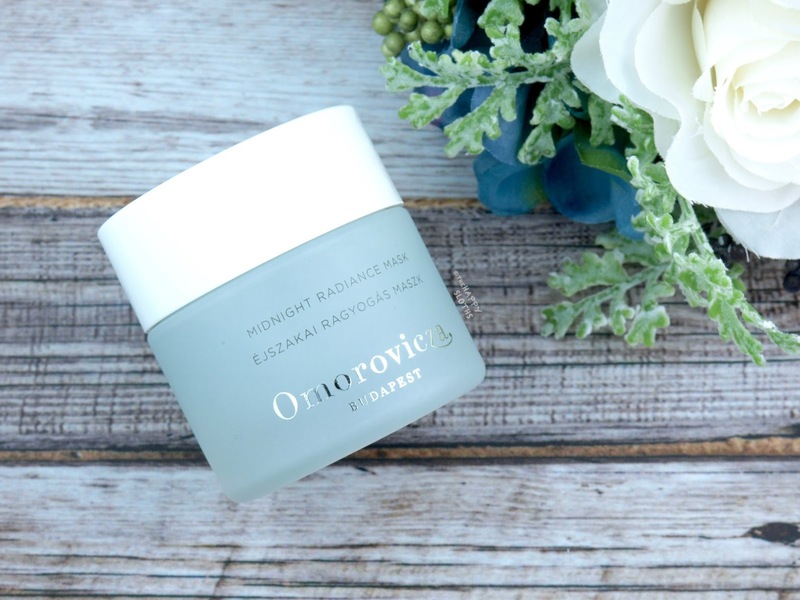 Omorovicza is available online at Omorovicza.com, Sephora and Nordstrom.com. They are also available in-store at select Nordstroms, Pink Tartan Yorkville and the Four Seasons Yorkville, Toronto.